The Norfolk County Sheriff's Office has a rich history dating back to 1793 when Gov. John Hancock appointed Ebenezer Thayer as the county's first sheriff. The word, "sheriff," is a blend of the old English words, "shire" and "reeve". A shire was a geographic area of jurisdiction, and a reeve was the person appointed by the king to keep peace and administer the laws of the land. The current Norfolk County Correctional Center, which opened in 1992 at 200 West St. in Dedham, is the only correctional institution in the United States that is located between the lanes of an interstate highway. The jail sits between the northbound and southbound lanes of Interstate 95, also known as Route 128. The former jail, a handsome stone structure on Village Avenue in Dedham, has been converted to luxury condominiums. 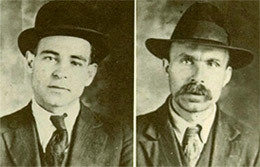 The most notorious prisoners held in custody by the Norfolk County Sheriff's Office were Nicola Sacco and Bartolommeo Vanzetti. They were members of an Italian-American anarchist group known as The Galleanists when they were arrested for the murders of two Braintree shoe company employees during a payroll robbery in 1920. Sacco and Vanzetti claimed they had alibis. At trial, their defense witnesses primarily were fellow immigrants who testified in broken English or in Italian through a translator. The case generated a surge of anti-immigrant sentiment and received international media attention. The two men were executed in 1927 after their lawyers exhausted their court appeals, but there continued to be questions about whether they received a fair trail. Years later, Gov. Michael Dukakis signed a proclamation stating, "Any stigma and disgrace should forever be removed from the names of Nicola Sacco and Bartolommeo Vanzetti. We are not here to say whether these men are guilty or innocent. We are here to say the high standards of justice, which we in Massachusetts take such pride in, failed Sacco and Vanzetti." The last death penalty execution in Massachusetts took place on May 9, 1947 in Charlestown, but prior to that, executions were a relatively common occurrence. The last execution in Dedham occurred at the old jail on Village Avenue on June 25, 1875. The beam from which convicted murderer Henri Costley was hanged is still in a warehouse maintained by the Norfolk County Sheriff's Office. Costley had been convicted of murdering his housekeeper -- with whom he had a romantic relationship -- after he became engaged to his wife. 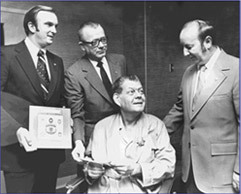 On Jan. 26, 1975, Norfolk County Correction Officer Joseph Stroy acted with extraordinary valor in the face of danger and suffered a bullet wound during an escape at the old Village Avenue jail. About 7p.m. that night, a fellow correction officer opened a cell door to allow an inmate to use a payphone. He was confronted by an inmate holding a gun pointed directly at his nose. The gunman and his cellmate grabbed the officer's keys. They opened two more cells, and a total of four inmates rushed to the "cage," from which the jail's main door was controlled. Stroy manned the cage that night. Staring at the gun barrel thrust through the wire mesh about six feet away, Stroy refused the inmates' demands to open the door. Instead, he turned to pull an alarm. The gunman fired, and Stroy slumped to the floor with a bullet in his back. The inmates stuck a broom handle through the cage to push a button and open the door. Three of the four inmates were recaptured within 24 hours. The fourth was nabbed shortly after that. It was later determined that the escapees received their gun from an accomplice who threw it over the jail wall. Stroy never fully recovered from his wound, suffering paralysis in his left leg and ultimately losing it to amputation. Joe Stroy died in the 1989 at the age of 64. On the morning of Nov. 25, 1978, a fire broke out in the north wing of the old Village Avenue jail. All 109 inmates were assembled in the jail courtyard while firefighters battled the blaze from outside the walls. With the help of area police departments and Sheriff's Offices, all 109 inmates were transferred to other jails - primarily in Billerica, Boston and Worcester. The entire move took just four hours. Later, a handful of inmates with construction skills returned to the jail to live and rebuild the damaged section. The jail reopened for all inmates in January 1980.